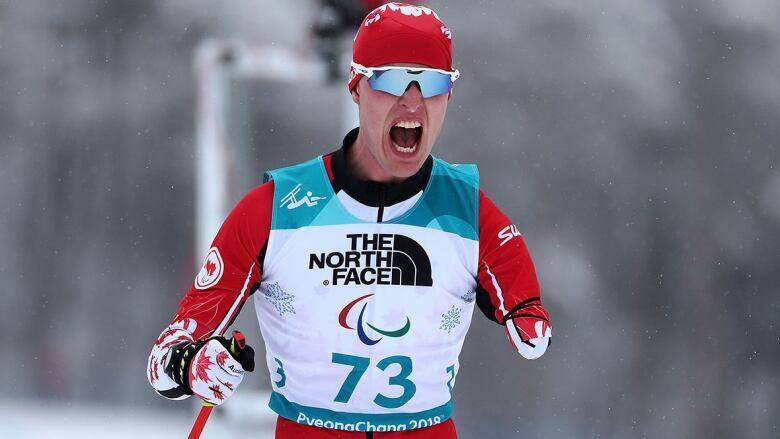 Canada's Mark Arendz skied to his 10th career world para Nordic ski championship podium finish after winning the silver medal in the 10-kilometre cross-country skate-ski race on Sunday in Prince George, B.C. Arendz, of Hartsville, P.E.I., battled through the chilly, hard packed conditions to post a second-place time of 27 minutes 52.5 seconds. It's his second medal of the weekend after claiming bronze in the men's standing middle distance biathlon race on Saturday. "It was awesome today. After yesterday, I was feeling like it was coming, but wasn't quite there," said the 28-year-old Arendz. "Today I started to get it on the last two laps. I knew it was going to be close so every little second and movement was going to be important. It was great to be able to pull it off in the last lap and get second." Benjamin Daviet of France clocked 25:27.1 for gold while Ukraine's Grygorii Vovchynskyi was third at 26:54.7. Kyle Barber, of Lively, Ont., placed 11th at 33:51.8.